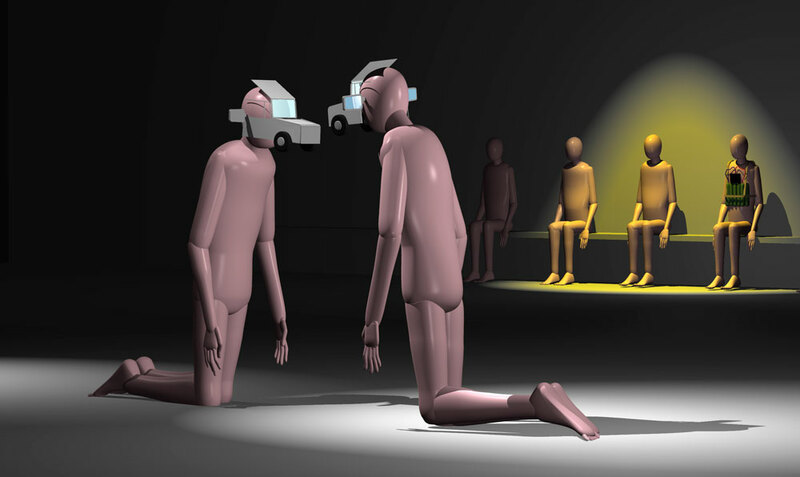 In the film “Dialogical Abrasion”, an accident setting serves as the scope for a cinematic metaphorical dialogue: two figurine subjects, that ultimately crash into each other in a slow motion car crash scene, act as the framework to the formal structure of the film. Mutual subjection and impression are allegorically exemplified – the momentum of the impact of the collision subserves as a generator to astonishing artificial bodily postures, that could be translated into something like an archive of embodiments. In transitory cut scenes between the decelerated sequence of this mishap, “biographical” flashbacks are inserted. The soundtrack offers another sensational dimension to work trough the various abrasions of these speculative traumatic events. Thus, the work tries to investigate the potential in the narrative of these Identity founding and crushing incidents within the scope of an audio-visual sculptural work. 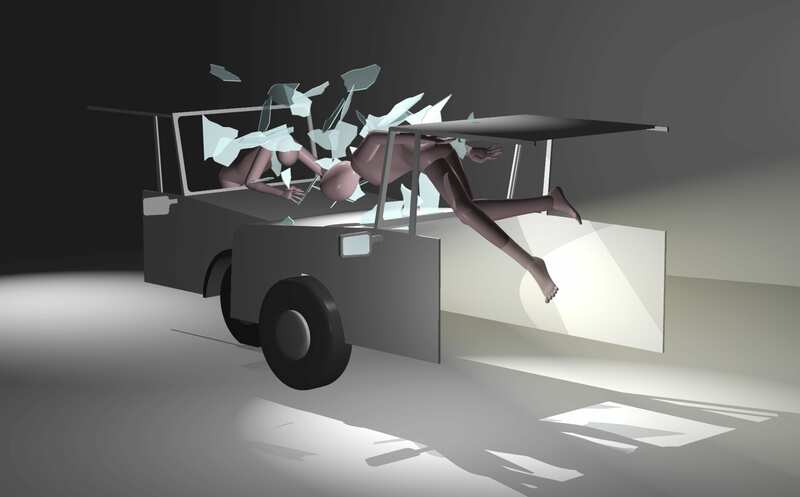 An accident setting serves as the scope for a cinematic metaphorical dialogue: two figurine subjects, that ultimately crash into each other in a slow motion car crash scene, act as the framework to the formal structure of the film. 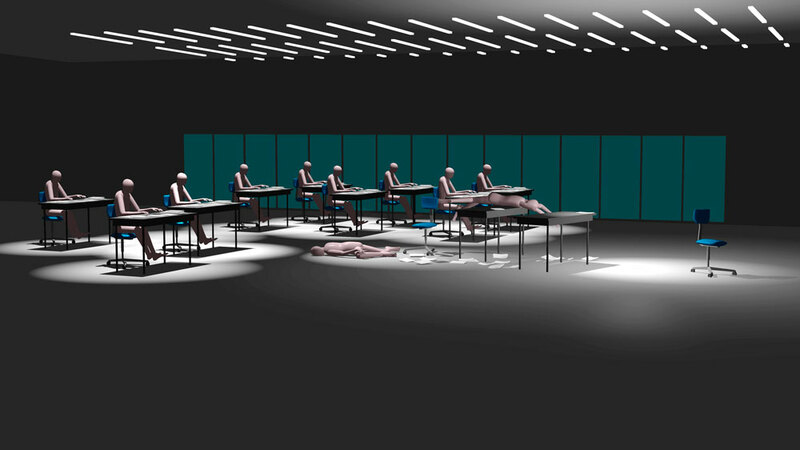 Mutual subjection and impression are allegorically exemplified – the momentum of the impact of the collision subserves as a generator to astonishing artificial bodily postures, that could be translated into something like an archive of embodiments. In transitory cut scenes between the decelerated sequence of this mishap, “biographical” flashbacks are inserted.